Imagine what could happen if a passion to reach the nations for Christ was implanted in the hearts of all 22 million adherents of the Africa Assemblies of God! Proclaiming Christ is another powerful missions resource produced by the Acts in Africa Initiative. 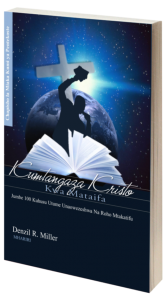 It is a collection of 100 sermon outlines on Spirit-empowered missions, authored by more than 40 Pentecostal leaders from Africa and America. 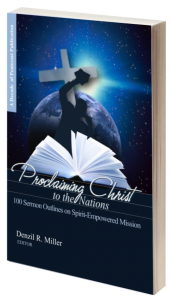 Like its predecessor, Proclaiming Pentecost, it can be used by pastors and church leaders to mobilize their churches for Spirit-empowered missions.